I am now the Orlando Travel with Pets Examiner with Examiner.com! Here is a list of my past articles as well as a link to my page on Examiner.com. I am welcome to any feedback, so please leave your comments or send me an email! Alabama – Part one of the southern state road trip – includes Hank Williams Statue, F. Scott Fitzgerald House and more! Mississippi – Part two of the southern state road trip – includes Vicksburg Military Park, the Robert Johnson Memorial and more! New Orleans – Part three of the southern state road trip – includes the Jazz Walk of Fame, Aquarium and more! 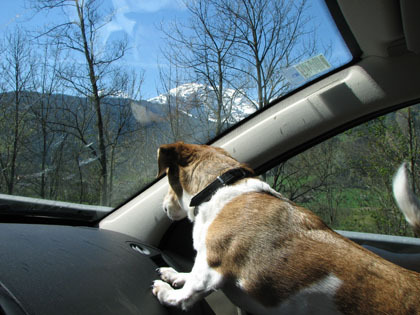 Why Travel With Your Pet? Loews Pet Hotels – Luxury hotels located throughout the U.S. and Canada. Currently five properties in the U.S. including three at Universal Orlando. Subscribe to my articles on Examiner.com so you won’t miss any of them!